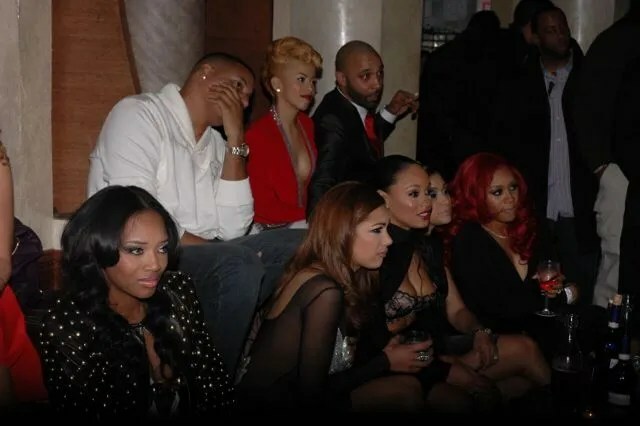 Producers of Love & Hip Hop New York are doing everything possible to surpass the ratings of its hit spinoff with the same name only in Atlanta. A screening of the new season was held at Kiss and Fly Club in New York Thursday night and all the cast members were on hand to reveal juicy details about Monday’s season premiere on VH1. And cast members Erica Mena and her boyfriend Rich Dollaz dropped a bombshell during the event. Erica revealed that she was engaged to Olivia’s manager Rich Dollaz. He hasn’t bought her a wedding ring yet but they are in the middle of planning a summer wedding. Erica also showed off her “R” tattoo that stands for Rich. She shows her new ink during the first episode. Check out a few photos from the screening below. Erica rocked a iCandy Couture dress and Brooklyn Nets shoes. 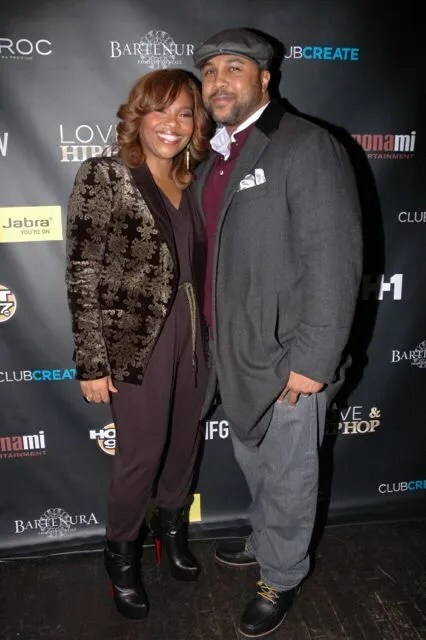 Producer Mona Scott Young and her husband Shawn.